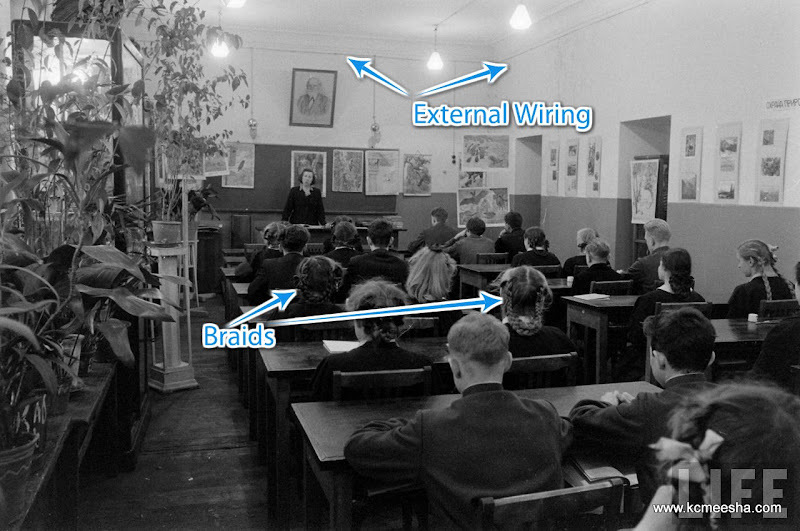 Continuing with the old Soviet photos, the next batch was taken at a typical school. Wood-shops were very popular in schools even in my day, not to mention 30-40 years before that, when people were still rebuilding after the war. 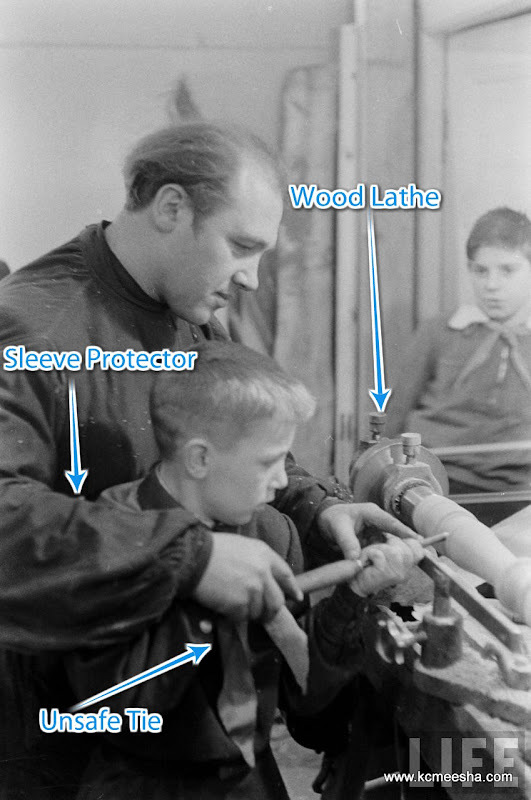 In this photo the kid is learning pyrography or wood burning. Many parents received these works of charred art as presents, but due to my lack of talent and patience my parents had to satisfy their decorating needs elsewhere. Another tool for patience development was a coping saw (I had to look this up in the dictionary). Hours of trying to follow the intricate ornaments usually ended with an ugly piece of plywood with holes and a pile of sawdust. I don’t want to get repetitive here but I sucked at the wood lathe as well. 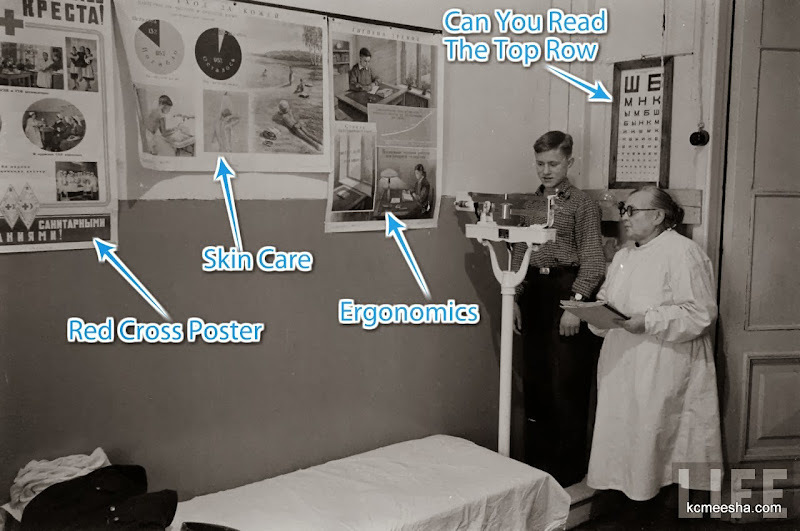 This looks like a biology or natural sciences classroom. 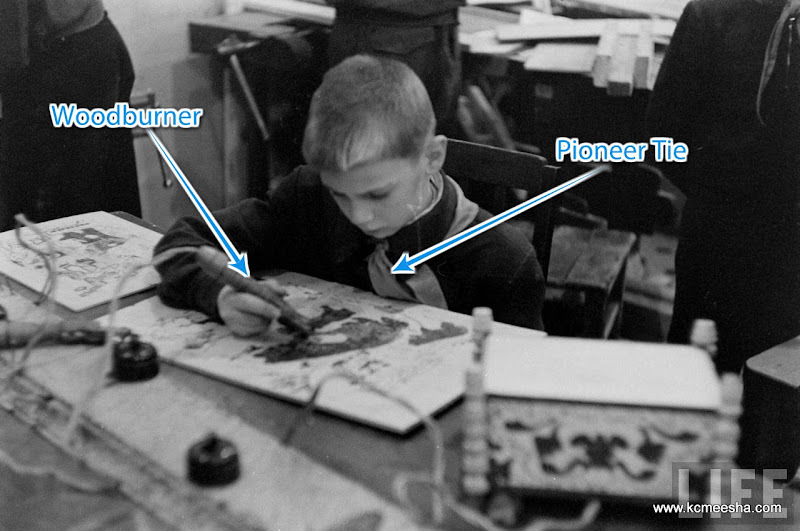 Sometimes there was a fish tank or a pet hamster to add to the atmosphere of learning. 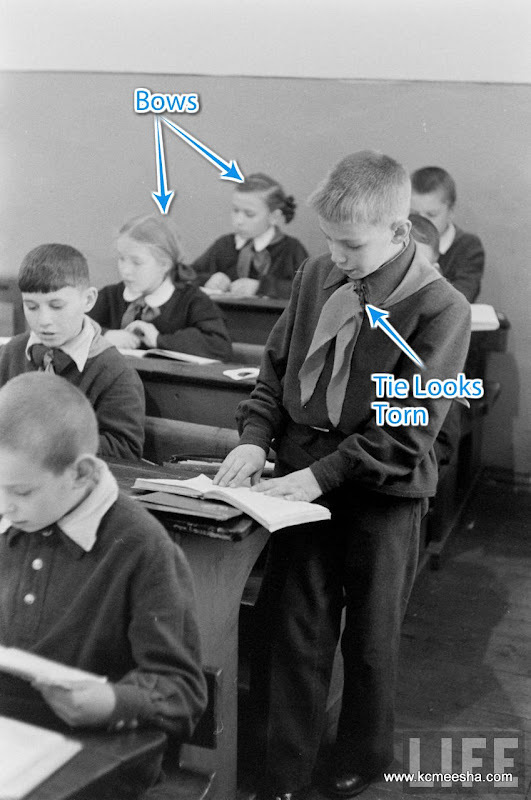 By the time I was going to school the uniforms changed to a less military style but the pioneer ties and bows in girls’ hair remained. and this is probably the 8th grade. After-school pioneer meetings were pretty common, but for the life of me I can’t remember what we discussed. 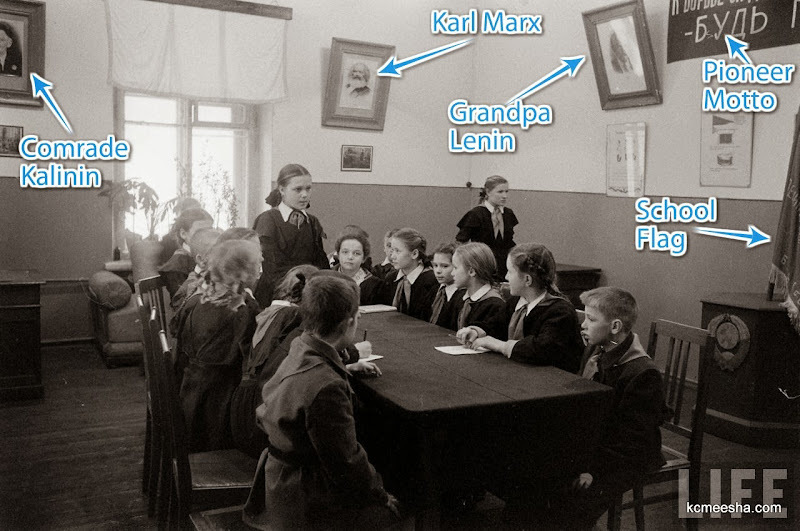 Another type of a meeting was a “political minute” when kids presented current news and world events, usually positive happenings from our socialist friends and exploitation news from the capitalist countries. Musical schools were separate from the general education and required mostly talent-based admission, so the music lessons in a regular school were mostly singing and learning about composers. Chess was huge, Soviet chess champions were treated as national heroes and people closely followed and replayed championship matches. Although I entered the school in 1976 it’s amazing how relatively little the things have changed since the 50’s. 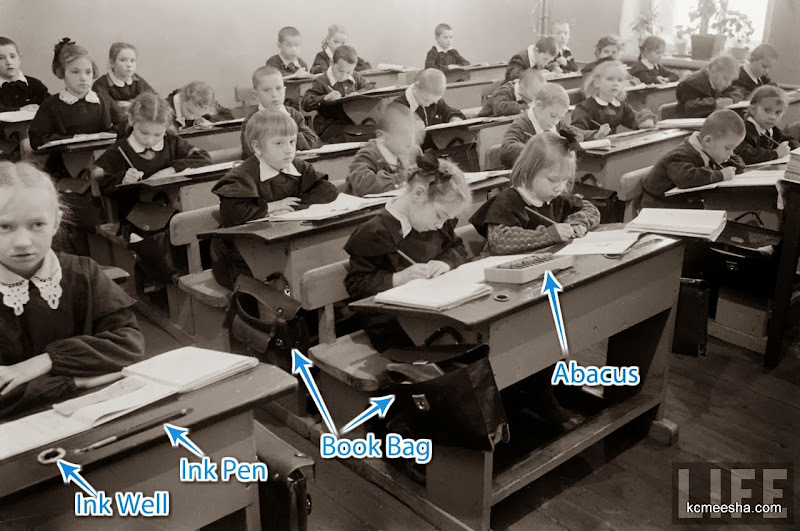 I still learned to use an abacus and a slide rule, and ballpoint pens were still considered an enemy of good penmanship. Mine was probably the last generation to get a complete Soviet school experience.